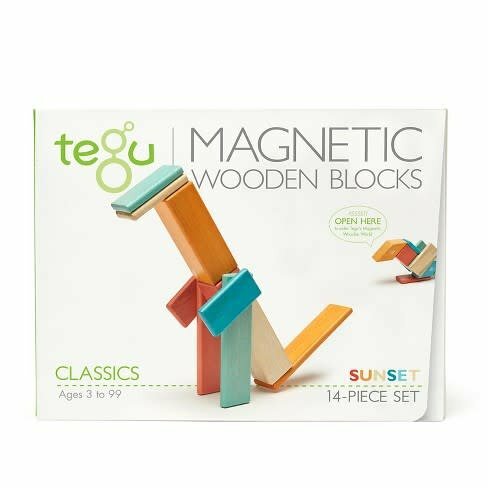 Tegu Magnetic Wooden Block Sets are built to foster curiosity. 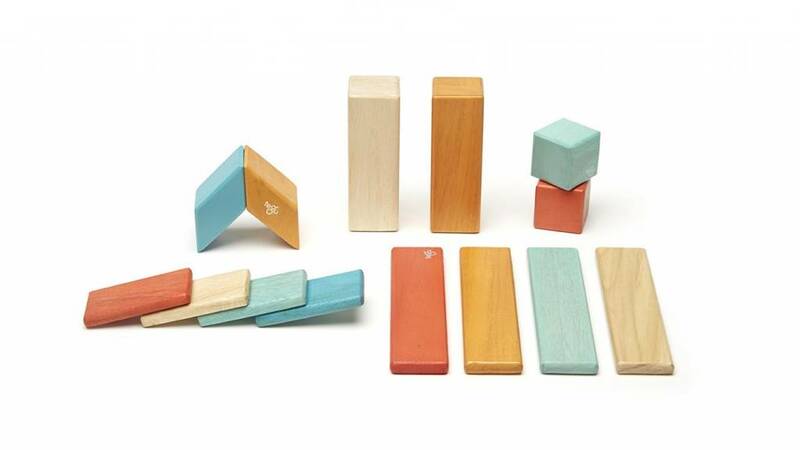 The mystery of hidden magnets offers an experience that starts with marvel and joy. 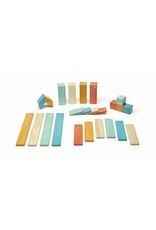 The very first "click-clack" of two blocks coming together sparks an instant magical discovery. 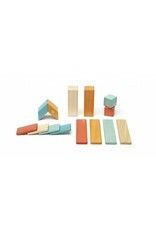 These simple blocks become so much more, allowing children to expand their imaginations by building outward, not just upward. 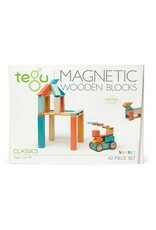 You won’t find building instructions inside the box, but your child will find plenty of inspiration. 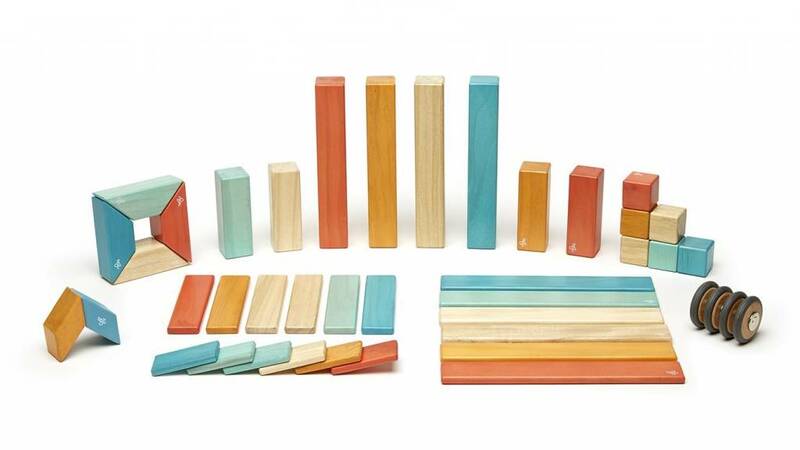 Choose from the Pocket Pouch Prism (6 pcs), Original Pocket Pouch (8 pcs), 14-pc, 24-pc or 42-pc sets in SUNSET colors - blues, mahogany and natural tones. 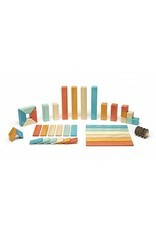 Pocket Pouch Prism Set is perfect for purse, restaurant, airplane or desk. Original Pocket Pouch Set is also perfect for on-the-go fun. 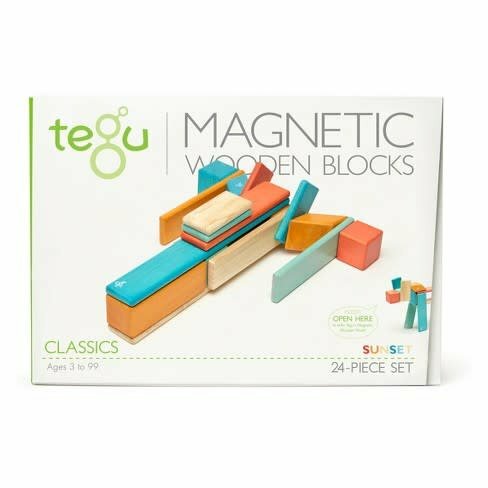 The 14-piece set is an introductory building set, perfect for getting to know and love the Tegu magnetic wooden blocks system. Designed in the USA, purposefully made in Honduras. Magnets are designed never to be removed. 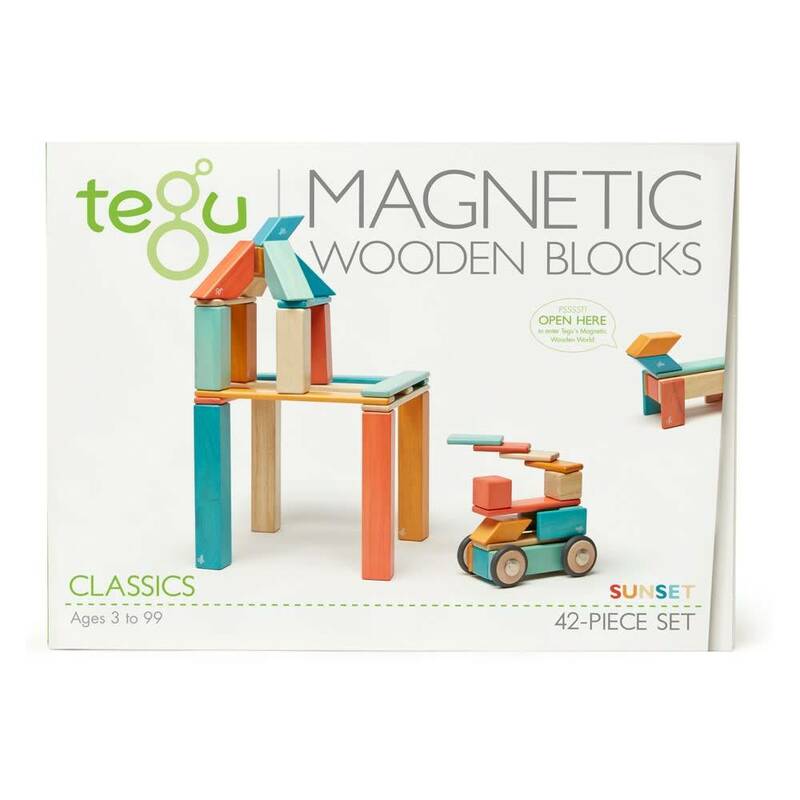 Swallowed magnets can cause complications leading to serious infections and death. Seek immediate medical attention if magnets are swallowed or inhaled. 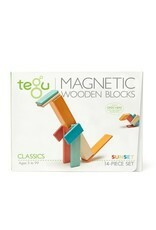 Tegu is a for-profit company based in Honduras that strives to foster a positive social impact. They provide a living wage for their employees and prioritize long-term career growth. 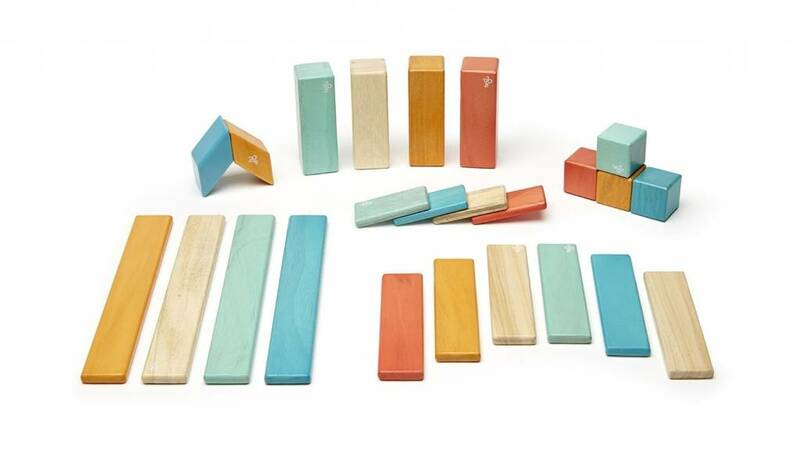 Blocks are made with sustainably sourced wood, and the company partners with local communities to support reforestation. They have partnered with a local school that provides education to children who would otherwise be working in the city dump.